Free agency is open, and the rumor mill is churning. As with every offseason, the Yankees are linked to nearly all of the big name players on the market. I’m not a big fan of speculating wildly about what new faces will be added, but now is a good time to examine how much we can expect the team to spend, and what areas of the team are in need of reinforcement to build a title contender in 2019. I’m going to first break down the contracts the Yankees have locked in for next year, and how much money that leaves them with to stay under the luxury tax. I think (and hope) management will be willing to exceed the luxury tax in pursuit of a better product on the field. But after Hal Steinbrenner’s comments last season, it’s also not crazy to think the infamous “luxury tax plan” is a long term approach to win without breaking the bank. Either way, the luxury tax threshold serves as a good guess of the rough amount the team will be able and willing to spend this offseason. So who’s already on the books for next year? Here’s a breakdown of the contracts already locked in for 2019. Note that all contract values listed represent the average annual value (AAV) which is the number used for luxury tax calculations. It does not necessarily match the exact salary of the player for next year. These deals represent a mixed bag of key players, albatross contracts, and veteran extensions made this offseason. Stanton and Chapman, though both heavily criticized at times this year, represent crucial pieces of the Yankees plan both this year and into the future. Chapman is under contract through 2021, and Stanton through at least 2027 if he doesn’t opt-out after 2020. Whether the fan base is happy about it or not, both players are likely here to stay and will be crucial to the success of next year’s team. Tanaka and Ellsbury are the last vestiges of the failed 2013-2014 free agent spending spree. The mercurial Tanaka continues to produce Jekyll and Hyde performances, at times looking like an ace and at others being dogged by the home run ball. 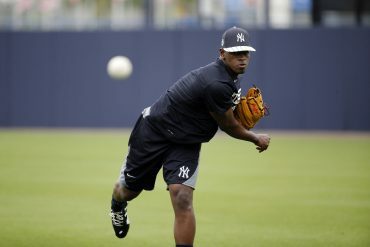 Nevertheless, he is one of the few sure things in the Yankees rotation moving into next season. As for Ellsbury…I’d rather not even talk about it. Finally, Sabathia and Gardner were both brought back on team friendly contracts to continue to provide veteran leadership as this team grows. The moves brought a surprising amount of criticism from the fan base, mostly driven by a belief that better options were available on the market. But one year deals to keep two of the last remaining pieces of the 2009 championship team strikes me as a strategic, calculated decision to maintain consistency around this young core. MLBTradeRumors.com has had tremendous success projection arbitration salaries in recent years, so I’m going to use their estimates here. Many of these players represent bargain deals for their value, and are several years away from free agency. The exceptions are Didi, Betances, and Hicks, who will all be free agents after next season. It’s not inconceivable the Yankees will look to extend Didi or Hicks this offseason. Both players have grown tremendously in their time in pinstripes, and could be long term franchise pieces moving forward. 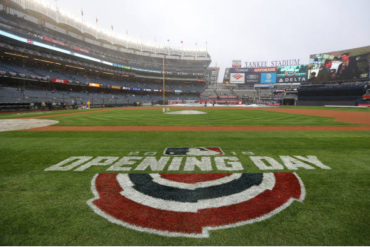 But with so many premier free agents available, it is also possible the Yankees will look to splurge this offseason and table the extensions until next season. For now, I’m assuming they will be offered their arbitration deals and not extended long term. Notably left off this calculation is Sonny Gray, who is a free agent after next season as well. He is projected to make $9.1 million in arbitration this offseason. But with Cashman’s comments, the swirling rumors that he is on his way out, and no clear role on the team, I’m excluding him from this calculation. The Yankees will likely look for big league pieces in return who will affect this calculation, but management may also opt to salary dump him to reallocate the money toward other available free agent pieces. For now, I’m assuming Sonny’s money will be wiped off the board and not speculate on how much of a luxury tax hit the Yankees will take on in return. You’ll notice that some of the Yankees biggest stars have not been listed yet. Most notably Aaron Judge, Gary Sanchez, Gleyber Torres, and Miguel Andujar are all still in pre-arbitration, and are thus only paid a tiny fraction of the value they provide to the team. All of these key players made under $650,000 last season, a quirk in the way MLB player contracts are set up. While modest raises are in store for all of them, Cot’s Contracts projects that the rest of the Yankees 40-man roster will cost the team just $8 million next season. You read that right, the combined contracts of some of the Yankees biggest stars will sum to less than what Sonny Gray will make next year (come on MLBPA, figure it out)! But from the franchise’s perspective, this is great news. They will save big on the vast majority of their roster, including some of the absolute best talents in the squad. This is one of the many benefits of the management reset to younger players that took place in 2016. The other $14.5 million in this section comes from estimated player benefits, which are also factored into the luxury tax calculation. All told, about 25 players will be making roughly the combined salary of Jacoby Ellsbury next season (again, figure it out MLBPA). So where does that leave us? The Yankees will have roughly $50 million in AAV to burn this offseason on free agents while still staying under the luxury tax. 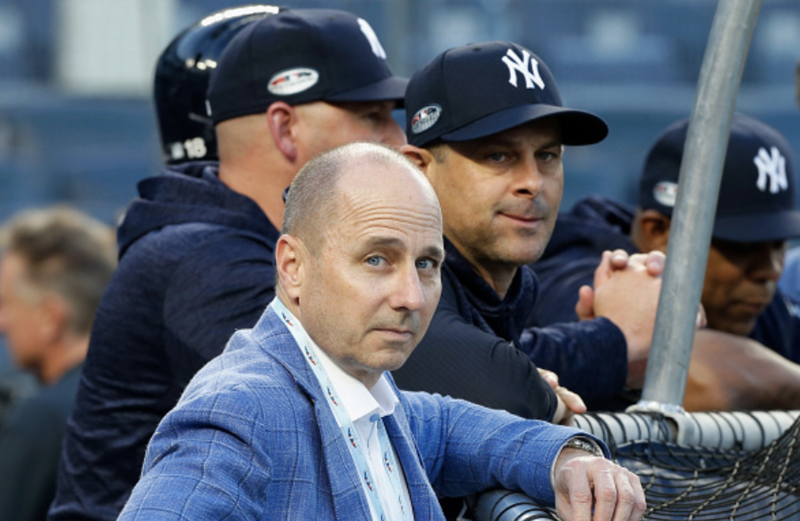 If management allows spending past the threshold, it is easy to envision the Yankees spending roughly $70 million on big name free agents before spring training rolls around. 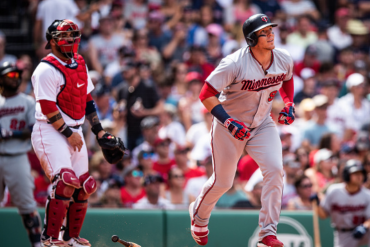 With that in mind, it’s almost impossible to imagine them passing on both the offseason’s crown jewels, Manny Machado and Bryce Harper. Whether the Yankees trade Andujar to make space for Machado or allow Harper to play first base remains to be seen. But I would be truly shocked if the Yankees made such a concerted effort to save last offseason and totally passed on the biggest free agent acquisitions in history. Beyond that, the need to beef up the starting rotation is obvious. Patrick Corbin is my personal favorite, and the most heavily linked free agent pitcher in the early offseason. Dallas Keuchel, Nathan Eovaldi, and the Japanese Yusei Kikuchi are all options as well, and the return of J.A. Happ is not unlikely. 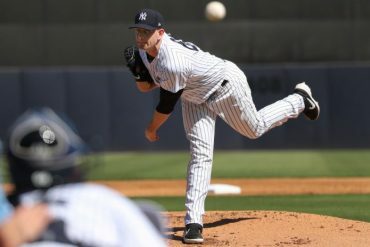 Finally, the stacked class of relief pitchers and the open spots in the bullpen vacated by David Robertson and Zach Britton make a couple of high profile signings likely there as well. The return of Andrew Miller remains a possibility, and I wouldn’t be surprised to see Robertson again donning the pinstripes when all is said and done. 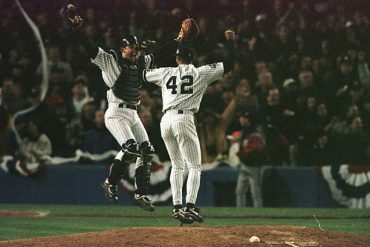 The bottom line is the Yankees have flexibility. And lots of it. Whether via trades or signings, Cashman is in prime position to work his magic and create a juggernaut for 2019. 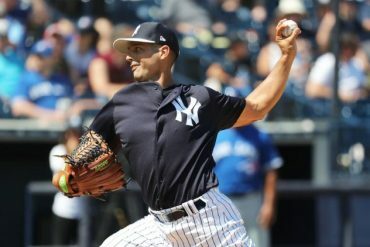 Yankees fans should be very excited about the prospect of an active offseason that ends with the most talented team we’ve since since the last championship squad.